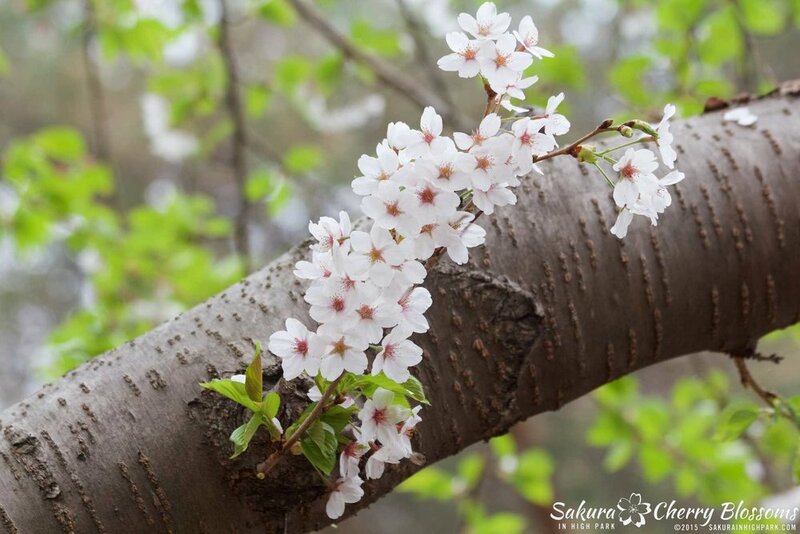 Sakura Watch, May 10, 2015 - Blossoms on Mother's Day is a beautiful gift that is sure to be shared by many sakura //cherry blossom enthusiasts today. 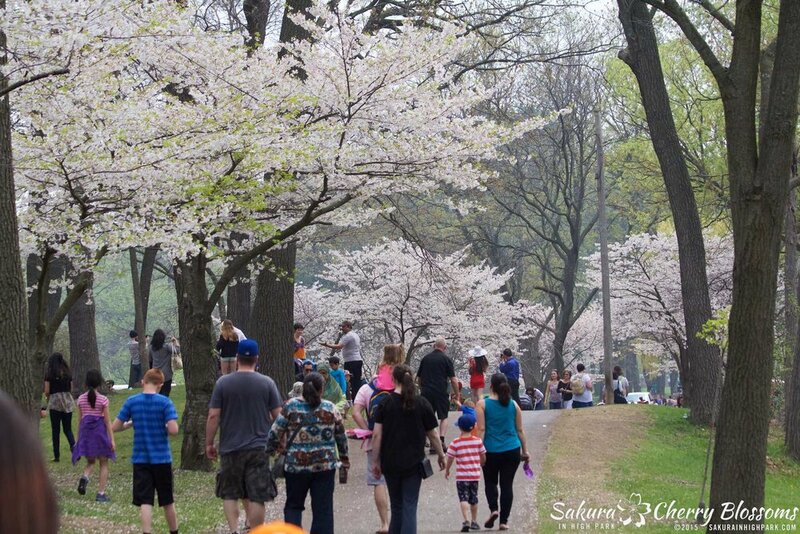 LIVE UPDATE 1:17 pm - rain has stopped, crowds are getting bigger, and the trees lining Grenadier Pond have kept most of their bloom! 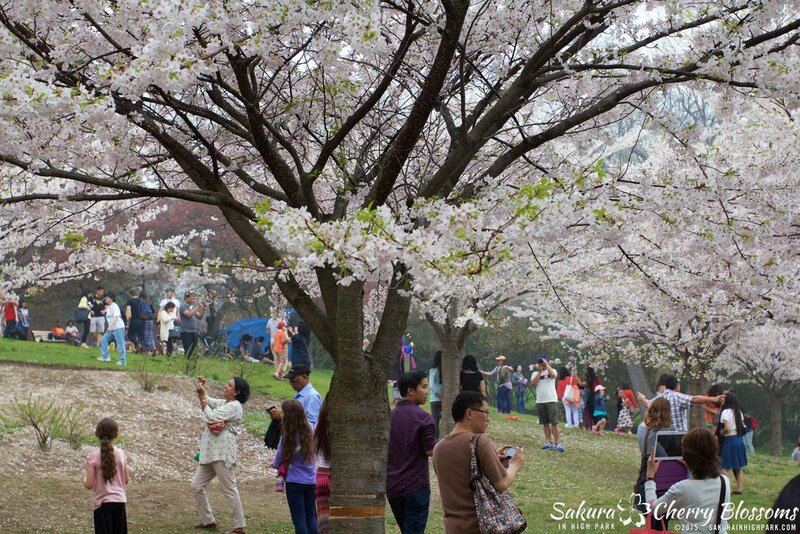 This IS the best place to see blossoms today (see photo gallery)! LIVE UPDATE 1:00 pm - Thunderstorms last night had causes many of the petals to fall but here are a few iPhone photos for a quick preview and glimpse of what to expect at the park right now (currently Sunday afternoon 1:00pm and its raining). Currently, the light breeze and rain are making the petals fall - which is actually quite beautiful to watch! Storms in the forecast for later this afternoon so if you have had a chance to see them, now is the time to go - otherwise pack an umbrella! 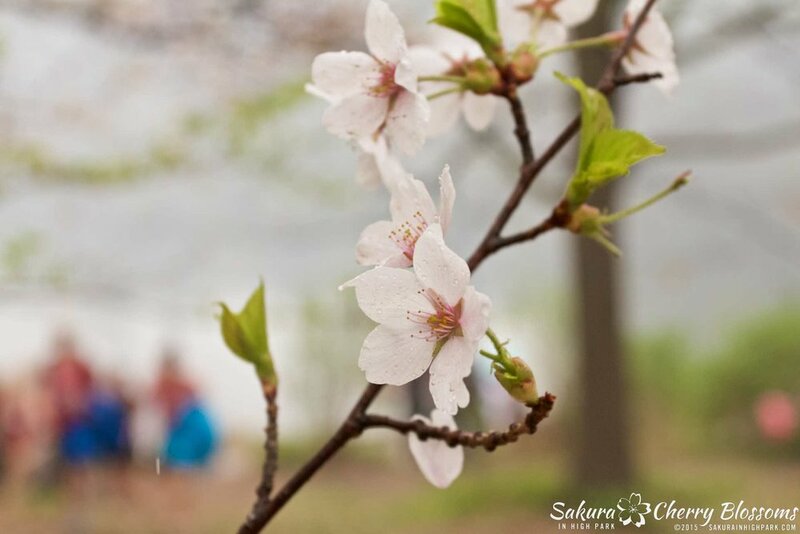 Mother nature decided to throw a little rain on our Mother's Day celebrations, but for those who braved the wet weather to visit the sakura // cherry blossoms in the park may have had a mixed bag of emotions depending on where they started their journey through the park. 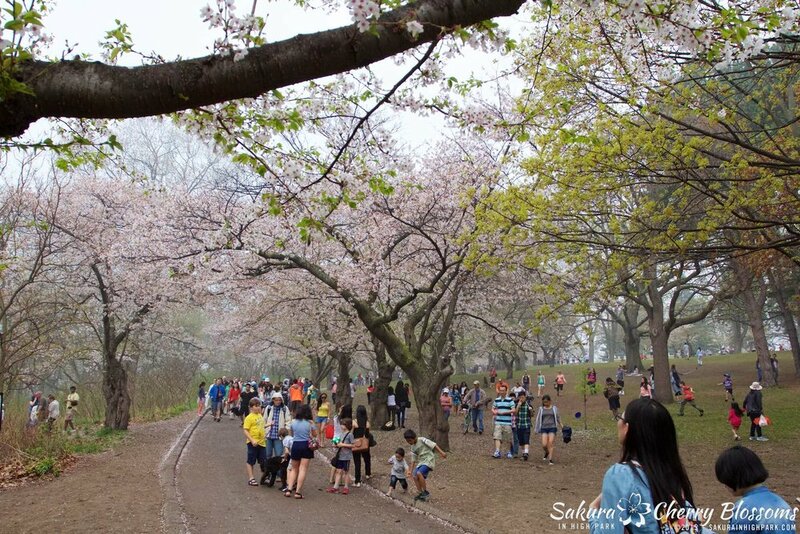 By the sports fields and High Park main entrance: Always the first to bloom and first to fall, the thunderstorm last night knocked off the majority of blossoms in this area, leaving only about 25% of the bloom left to view. On the big hill and down the winding path: The largest and most visited area of the park also lost its majority of blossoms last night and left about 20-25% on the trees near the top of the hill and gradually saved more as you went down to the bottom of the winding path to about 50% of the bloom left on some trees. By Grenadier Pond and the Dock: This was THE BEST spot in the park today to view as the trees are in peak bloom and still looking like 90-100% of the bloom was visible on the trees. Those who kept walking down the path toward the pond were treated to this pleasant surprise and from the crowds I saw today, I think that was nearly all of them! By the High Park Zoo and Adventure Playground: Always the last to bloom and a concern from past updates, today proved to be the second surprise of the weekend as these trees were also at peak bloom showing 90-100% bloom on all the trees that did develop buds this year. 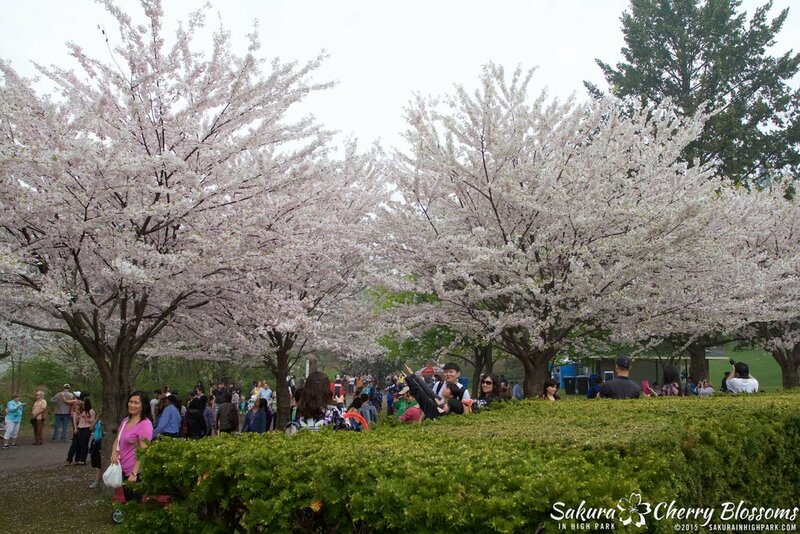 The only downside is there were MUCH LESS to see overall as several of the trees had been cut down over the year and handful of others appear to be either dead or non-producing any buds or blossoms at all. BONUS - the Akebono trees are getting ready to bloom and something we can look forward to in the weeks ahead. I hope everyone had a wonderful weekend and all the mothers out there enjoyed their very deserving special day! 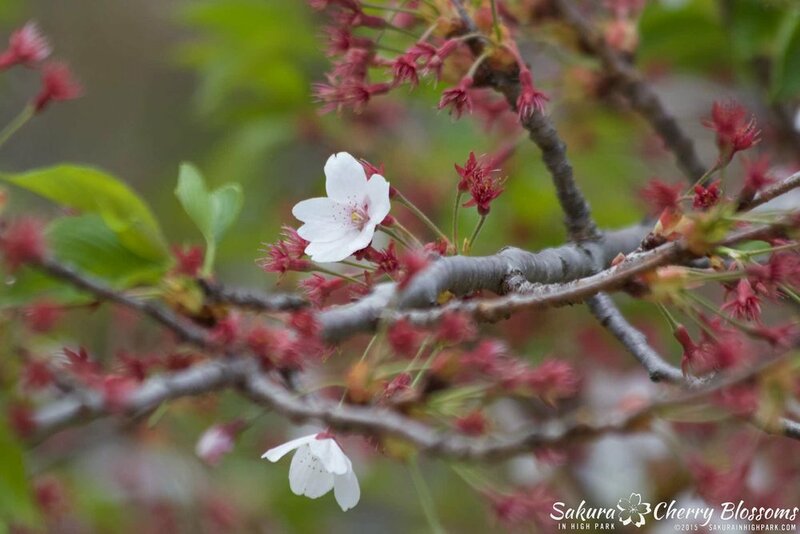 I'll update again later this week and hope you all had the chance to visit the sakura // cherry blossoms this year!